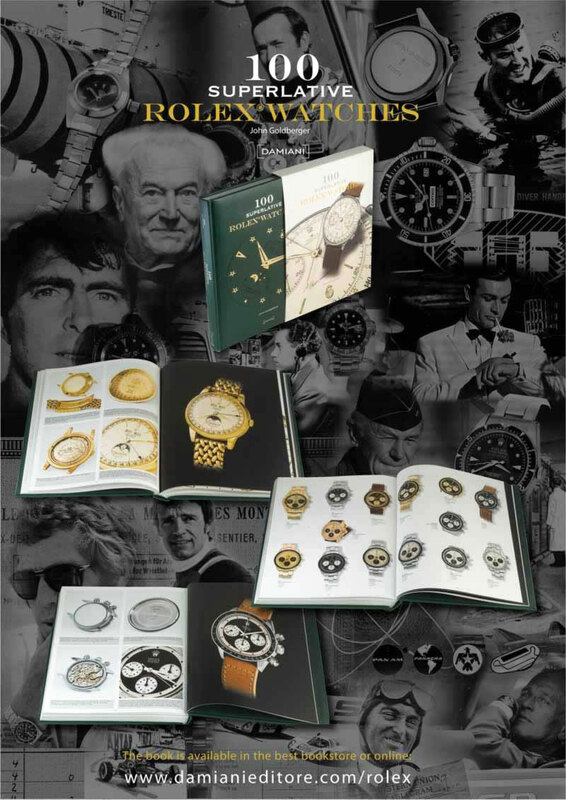 A absolute ‘MUST HAVE’ for every Rolex enthousiast, is the Iphone – Ipad App from the legendary 100 Superlative Rolex book by Auro Montanari, alias John Godberger. 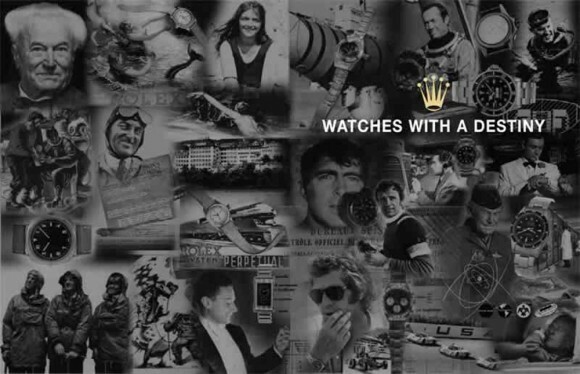 Take your time to browse around at his passion watch website where you can find all information you need. 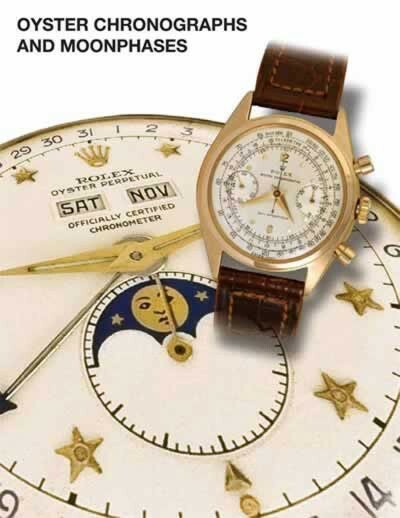 I carry his App all the time with me as it’s the best tool to have with you when you’re out in the field, hunting vintage Rolex. 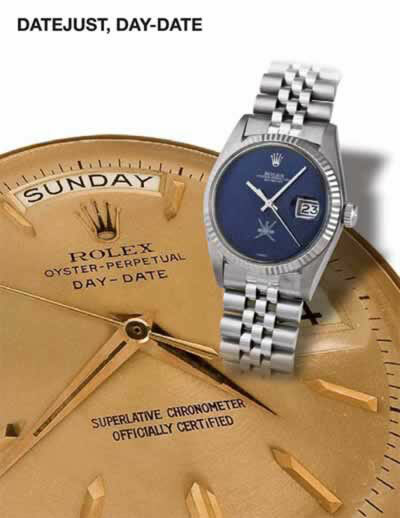 His great eye for detail and experience having had all great watches in his hand makes him the ultimate Rolex passionist. 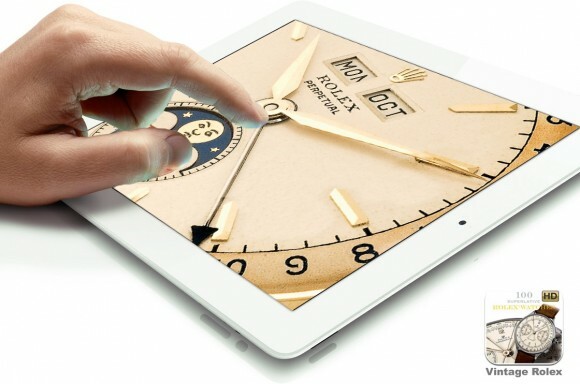 His App is the 2de best investment I’ve ever done so far, becoming good Rolex friends with Auro is still my best one! 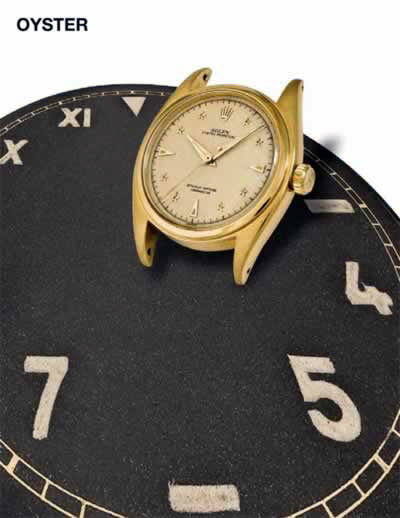 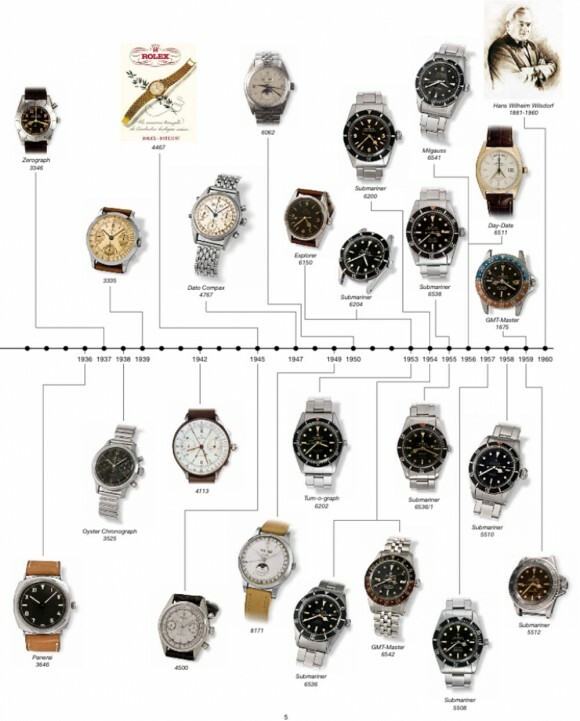 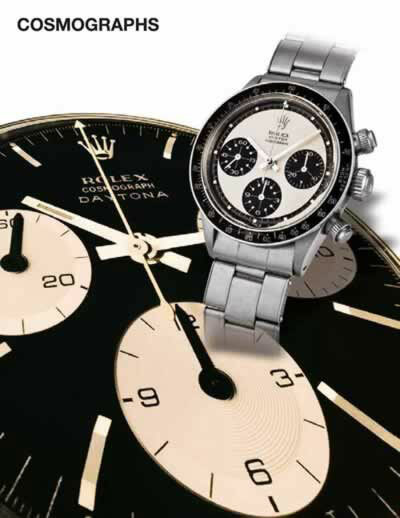 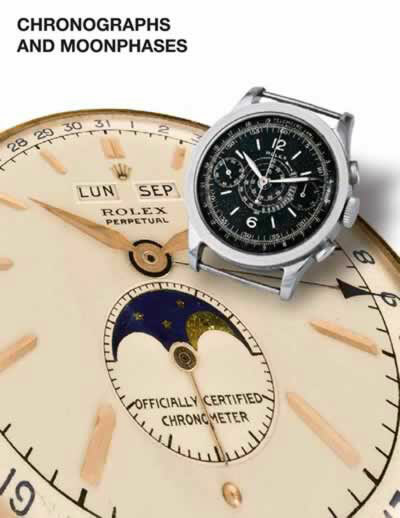 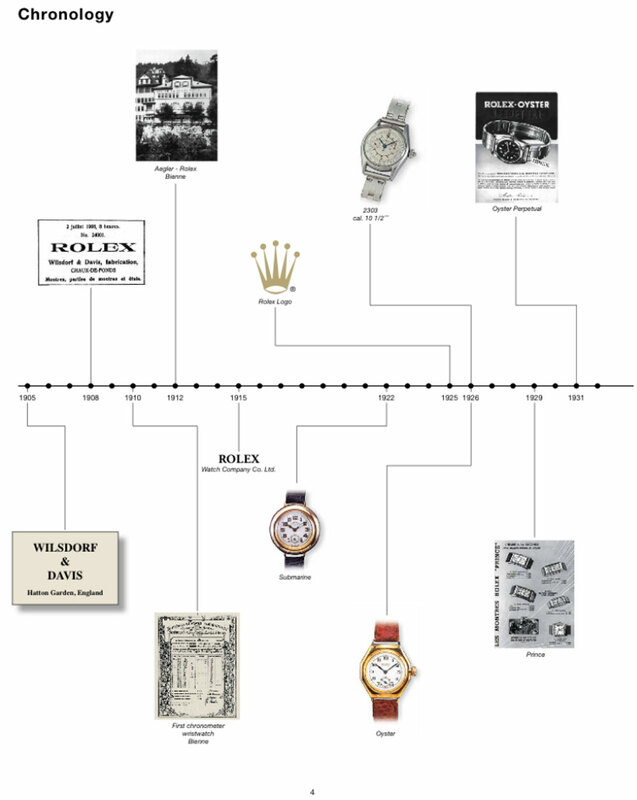 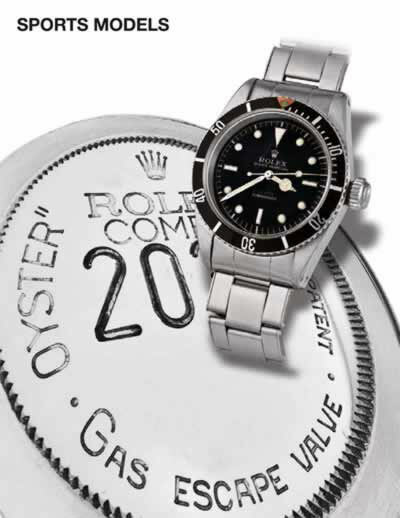 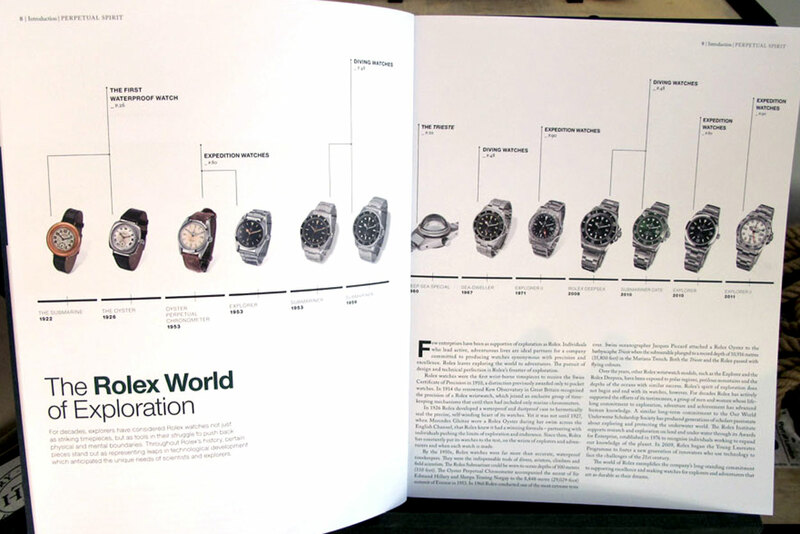 Rolex History Chronology Overview, Rolex most important Heritage, evolution of their ‘Tool Watch’ concept. 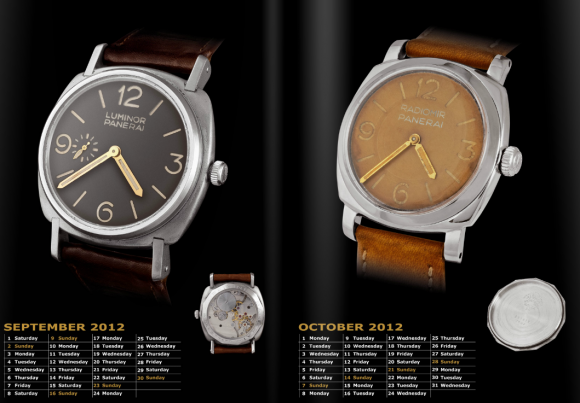 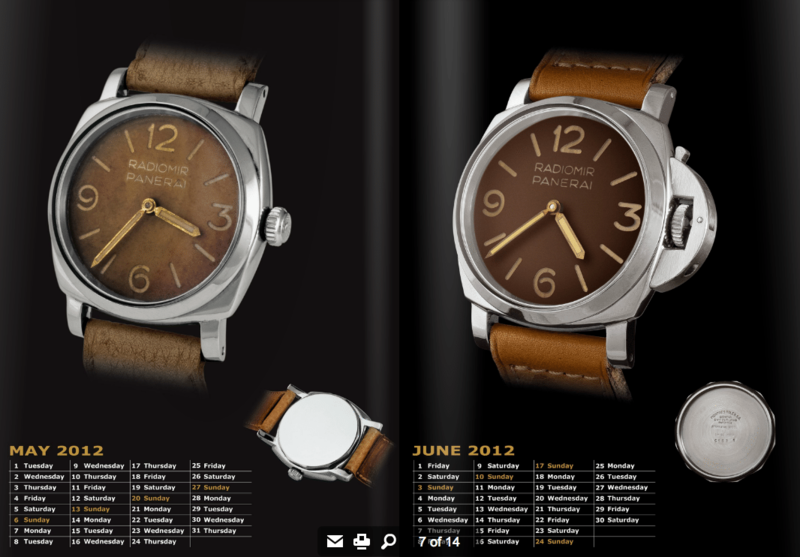 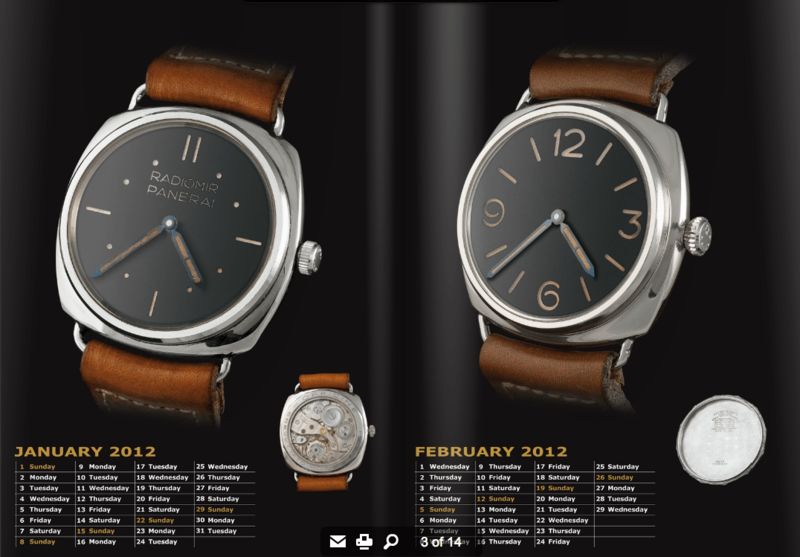 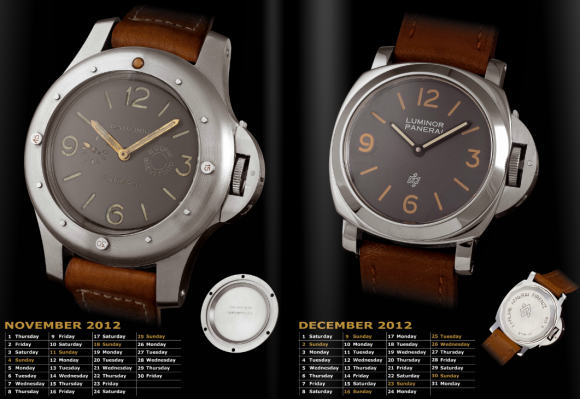 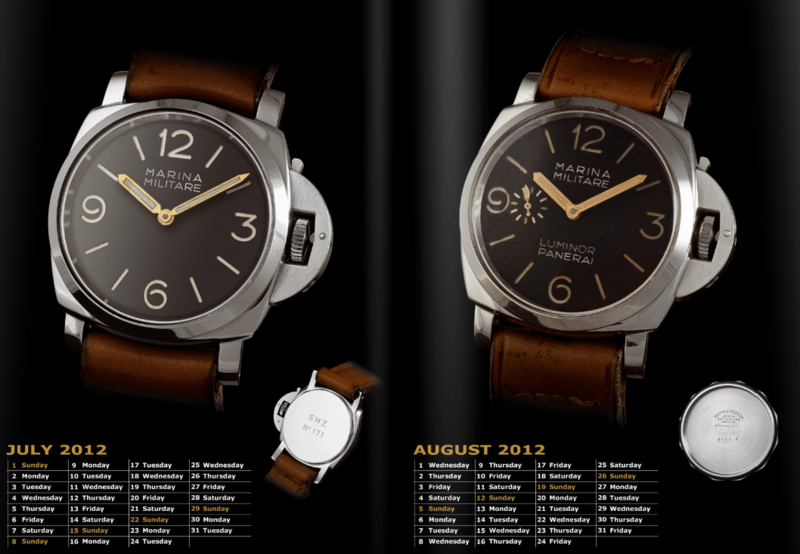 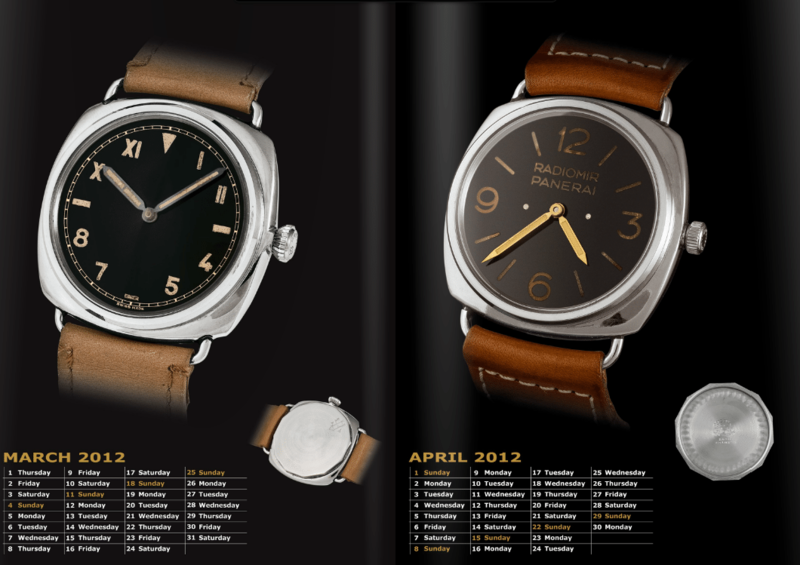 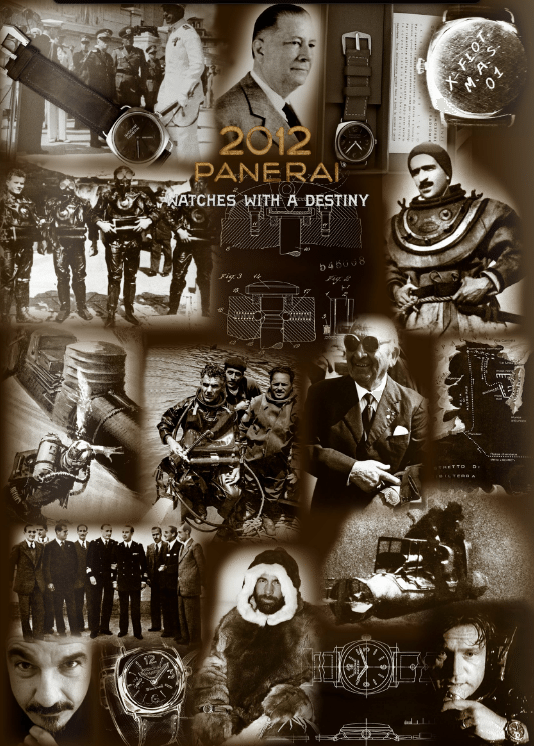 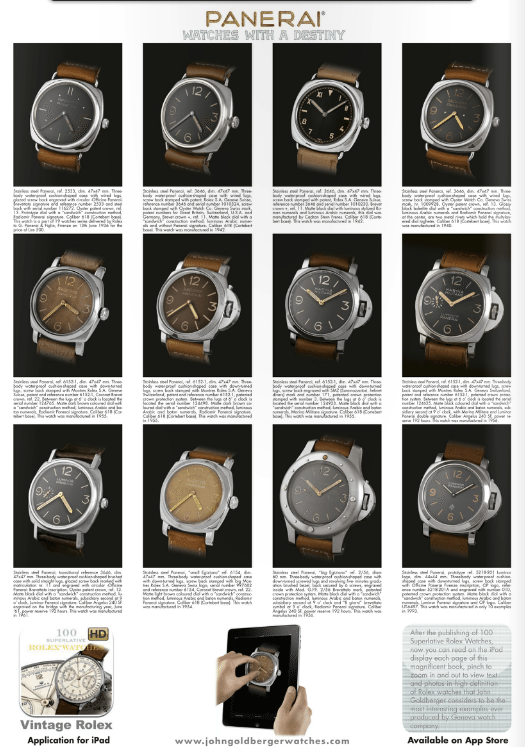 Panerai 2012 Kalender with stunning example of early Panerai / Rolex by John Goldberger. 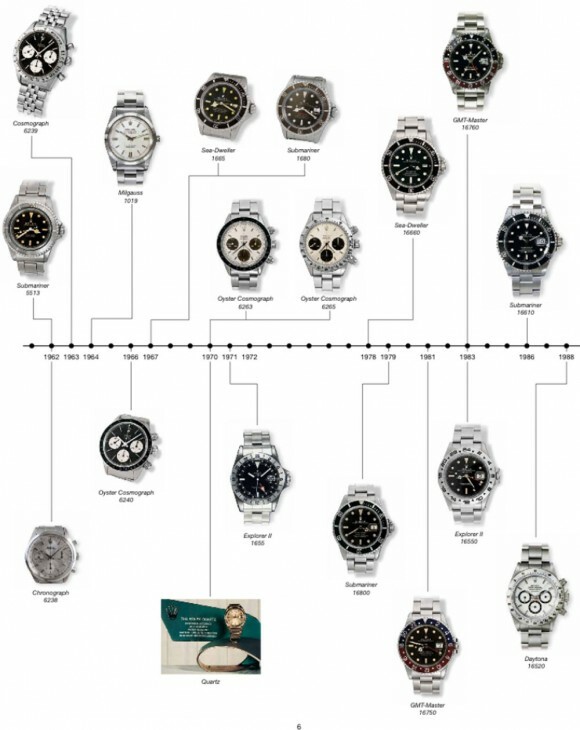 This post was written by Philipp on April 14, 2012.